Candy has never looked so enticing! 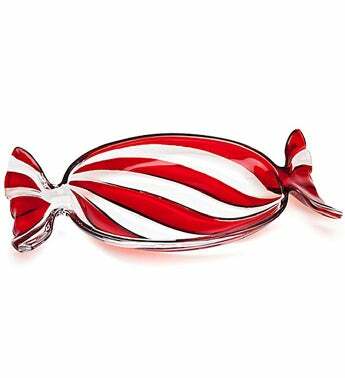 This non-lead crystal dish made in the shape of a peppermint candy wrapper is the perfect holiday table decoration. 9.45" x 4.21" x 1.38"